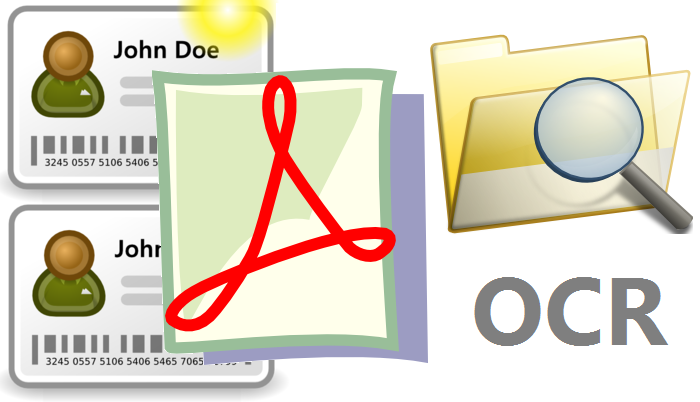 As we all know, too often the company's scanner does not offers OCR for scanned documents, and this is why very often companies have a lot of documents in PDF (Portable Document Format) or Image Files (png, jpg, tiff, bmp, etc) that contains Text and Business Data but in Image/Binary format thus hardly searchable. More than that, those documents are stored in Network Shares or SQL Databases – in same format (image, non-OCR)– without easy way to search by text content’s keywords. We at JULY SOFT are 100% aware of this fact – companies have huge amounts of business-critical documents (PDFs or Images) as Image Scans (non-OCR). This is why, starting version 1.1 we have introduced OCR (Optical Character Recognition) feature for PDF and Image Files for any Enterprise Licence. The work to run OCR on all those documents and then update them and updating associated keywords and tags takes too much and your business cannot afford to lose time in non-productive activities. Just by implementing Geysir Enterprise you will get – never mind having a high-end Enterprise Search Solution – also OCR out-of the box, totally transparent for you. Geysir will take care to OCR all your scanned PDFs and Image Files (regardless exact format) and you will use Geysir Search Web Portal to search within those images texts – with exact same experience as they were already in text format (OCR). Just keep in mind that the price of a 12 months Geysir Enterprise Licences includes OCR as a nice feature along many dozens others and yes, is way cheaper than to buy only a OCR library that well, does only OCR. Geysir is an Enterprise Search High-End Class Solution, and if you get 1 Enterprise Licence – this includes also a Document Management Solution (DMS), a Customer Relationship Solution (CRM) and an Issue Tracker Support Solution and if you take into consideration price and seamless integration of those systems (Geysir Search Portal can search also in those systems) really the choice is no brainier. Thanks for a great guide. However, I am currently more interested in jpg to png conversion. Can you recommend me some sites similar to this one http://jpgtopng.com/? Thanks! July Soft - Happy New Year, 2019! Breaking News! July Soft GEYSIR Suite it’s now at version v3.3! National Championship of Bouldering – Congratulations Crina Ochenatu! Campionatul Național de Bouldering – Felicitari Crina Ochenatu!